Dr. Chang is the second U-M family physician ever chosen for the prestigious James C. Puffer MD Fellowship, sponsored by the the American Board of Family Medicine (ABFM). Her experience follows Katherine J. Gold's tenure as the 2013-2015 fellow. Tammy Chang, M.D., M.P.H. (center) with Larry Green, M.D., University of Colorado School of Medicine and former American Board of Family Medicine (ABFM) chair; Sean Lucan, M.D., M.P.H., 2016 James C. Puffer Fellow; Jennifer Devoe, M.D., National Academy of Medicine member, and James C. Puffer, MD, ABFM president and CEO. Photo taken at the National Academy of Medicine, October 16, 2017. The National Academy of Medicine (NAM) has selected Tammy Chang, M.D., M.P.H., M.S. as the 2017 James C. Puffer, MD/American Board of Family Medicine (ABFM) Fellow. Dr. Chang is among the five outstanding health professionals selected this year to join the NAM Anniversary Fellows, a highly-selective early career leadership and policy program. She is only the seventh family physician selected to the James C. Puffer fellowship position, which was established in conjunction with the American Board of Family Medicine (ABFM) in 2011. The fellowship is named in honor of ABFM president James C. Puffer, M.D., pictured above (far right) with Dr. Chang (center). For Dr. Chang, health science research is a means to a strategic end. Whether it is improving access to reproductive health care or initiating positive changes that improve health across generations, Dr. Chang’s research is driven by her commitment to breaking the cycle of poverty and poor health that often ensnare young mothers and their children. In her work as a health sciences researcher, she seeks opportunities to have a greater impact on how healthcare is delivered and the policies that shape it. 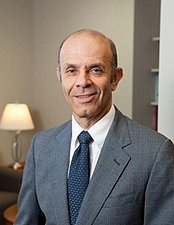 Philip Zazove, M.D., the George A. Dean, M.D. Chair of Family Medicine, sees national influence on Dr. Chang's horizon, noting “Dr. Chang is truly amazing. She's one of those rare individuals, who does so much at such a high level of expertise. The breadth and depth of her research is incredible. It's also very important, quite pertinent to the development of health policy in pregnancy care for adolescents among other areas, and quite innovative. Her work [on Medicaid policy, obesity, and pregnancy] has enormous health policy implications. As the James C. Puffer, M.D./American Board of Family Medicine Fellow, Dr. Chang will undoubtedly be able to leverage her experience there to emerge as one of the true leaders and best in family medicine." Dr. Chang’s impact is often seen through her tireless contributions as a mentor and a national committee leader. Although an early career researcher herself, Dr. Chang is widely known as a skilled and steadfast mentor to researchers at many stages of their career. 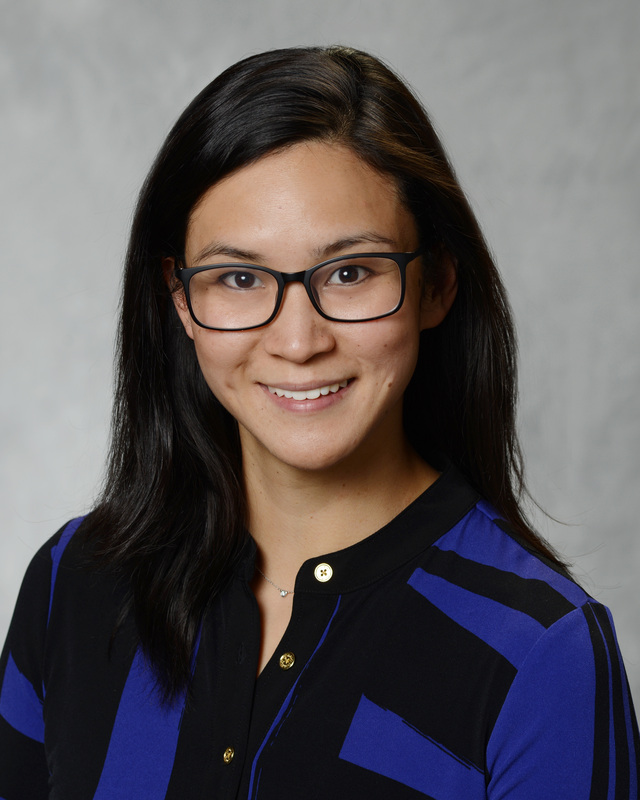 From new family medicine faculty and postdoctoral fellows, to residents, medical students, and undergraduate researchers, Dr. Chang cultivates research teams that allow her diverse members to learn, contribute, and grow. “I don’t necessarily think I lead the research,” Dr. Chang notes. She sees her responsibility to “convene” and to “make sure everybody has what they need.” In the past year, four of her mentees won research awards at the annual Michigan Family Medicine research day, and two of her student and resident mentees co-authored peer reviewed papers. “Working on teams is what helps drive my excitement every day. I’m so inspired to see how different people think and work on an issue. When we’re all aligned on a similar goal, there’s no better way to move forward than using the expertise of very diverse individuals,” she adds. Dr. Chang has a seat at the table at both the Society of Teachers of Family Medicine, where she serves as the chair of the Research Committee and as a member of the Board of Directors. She is also a member of the North American Primary Care Research Group, where she serves on the Communications Committee. Dr. Chang will join a league of Michigan Medicine faculty who serve or have served as NAM Anniversary fellows, including 2017 fellow Mahshid Abir, M.D., M.Sc, in the department of emergency medicine, James Burke, M.D., M.S., in the department of neurology, and former James C. Puffer fellow Katherine J. Gold, M.D., M.S.W., M.S., assistant professor of family medicine and obstetrics and gynecology. In 2013 Katherine J. Gold, M.D., M.P.H., M.S. became one of the first recipients of the NAM/ABFM James C. Puffer fellowship. Through her experience as a fellow, Dr. Gold had the opportunity to analyze health issues as a member of multidisciplinary teams made up of leaders in medicine, education, law, economics, and social work. Early on in her Puffer tenure, Dr. Gold joined a study that looked at parenting and contributed to the National Academies of Sciences, Engineering, and Medicine’s 2016 report Parenting Matters: Supporting Parents of Children Ages 0-8. The Puffer fellowship experience challenged Dr. Gold to articulate the value of the family medicine approach to health and social issues, and in turn, helped her to solidify her own professional values. That challenge was bolstered by an exposure to engaged and supportive leaders in the field. Dr. Gold has continued work that began in her fellowship. She was invited to participate in the Penn Futures program, an initiative that has launched three new programs to serve at-risk children and families in Philadelphia. Dr. Chang met with current ABFM president James C. Puffer, M.D., and former ABFM president Larry Green, M.D. earlier this year. Dr. Puffer shared, “We are excited that Tammy will be joining Sean Lucan, our current Puffer Fellow at the NAM this year. As a Puffer/ABFM/NAM Anniversary Fellow, Dr. Chang will receive a research stipend of $25,000. Named in honor of James C. Puffer, M.D., president and chief executive officer of the ABFM, the fellowship program enables talented, early career health policy and science scholars in family medicine to participate in the work of the Academies and further their careers as future leaders in the field. The James C. Puffer, MD/ABFM Fellowship was established under the NAM Fellowship program in 2011. NAM Anniversary Fellows continue their main responsibilities while engaging part-time over a two-year period in the Academies' health and science policy work. A committee appointed by the president of the Institute of Medicine (IOM) selects fellows based on their professional accomplishments, potential for leadership in health policy in the field of family medicine, reputation as scholars, and the relevance of their expertise to the work of NAM and the IOM. Read the 2017 James C. Puffer, MD Fellow announcement from the American Board of Family Medicine and the official announcement of the five 2017 National Academy of Medicine fellows.